PHAs have been all the beauty buzz lately, at least for those of us who are ingredient nerds. 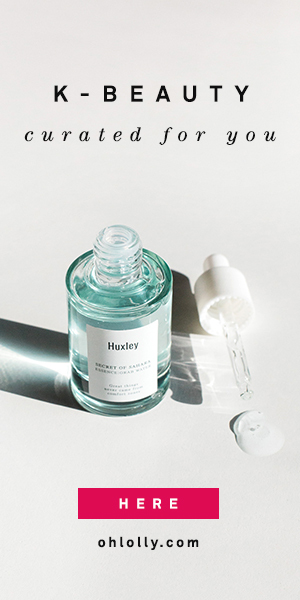 This new generation of exfoliating acids, polyhydroxy acids (PHA), are supposed to be as effective as AHAs (alpha hydroxy acids), but far gentler and less sensitizing to the skin. Because they have a larger molecular structure, they don’t penetrate as deeply into the skin, thus being less irritating, but without losing effectiveness as exfoliants. For people who have a fragile moisture barrier that can get overexfoliated easily, PHAs sound like a godsend. Before PHAs came along, the only other option (besides AHA) for gentle non-scrubby exfoliation was enzyme peels, but some people are sensitive to the papaya and pineapple extracts used in enzyme products. PHAs just might be a viable alternative. In this blog post, I’m going to be reviewing and comparing two popular new PHA products, the Cosrx PHA Moisture Renewal Power Cream, and the Make P:rem Peel Me Radiance Peeling Sleeping Pack. I received the Cosrx cream as part of a PR review giveaway program through Jolse.com, and I ordered the Make P:rem cream with PR credit from Althea Korea. Even though I received these creams free for review, rest assured I will be honest and fair in my assessment of them. Don’t you just want to dive headfirst into that blue Make P:rem jar? It looks like a tropical lagoon or fancy resort swimming pool. I’m first going to give an overview of each cream separately before comparing them to each other. The Cosrx PHA Moisture Renewal Power Cream comes in a simple plastic jar and contains 50ml of product. I don’t know what the price point of this cream will be because it technically hasn’t been released yet (UPDATE: it has been released at $25, which is just what I thought it would be! ), nor do I have a complete ingredient list at this point. Cosrx wanted a “blind review”, unaffected by any biases that reviewers might have based on the ingredient list. UPDATE: The ingredient list is now out, see it on CosDNA. This cream uses gluconolactone as the PHA ingredient. What I can tell you about is the texture, scent, and results of the Cosrx PHA cream. Texture: The Cosrx PHA Cream looks like a thick opaque cream in the jar, but when you actually use it, it has a very interesting texture. On my first Instagram impressions post I described this as a gel-balm, and I still stand by that description. Like a balm, it appears thick and feels like it has lipids in it. I wouldn’t say it’s oily or greasy-feeling, but it does feel like there’s some richness to it, like if you mixed Aquaphor together with a gel cream. Like a gel, on the other hand, it spreads out very slickly and with a good amount of slip. It reminds me a bit of Dr. Jart’s Ceramidin cream, but fluffier. It easily spreads into a thin layer on the skin. Scent: There does not seem to be any added fragrance to this cream. If I take deep whiffs, I get a very very subtle acidic smell, but nowhere near as strong as other acid products I own. Results: In the morning, my skin is noticeably softer and smoother. I don’t think the results are as dramatic as when I use my AHAs (either 10% glycolic or 10% mandelic acids), but on the other hand, I’ve had no irritation whatsoever from this cream. It would be impossible for me to use AHA every night, but my skin seems to be thriving using the Cosrx PHA cream every night. However, I need more moisture than this cream provides. It’s strange, because it feels quite rich when you first put it on, like a balm, but in the morning, it has fully absorbed into my skin and my skin actually looks and feels a bit dehydrated. Maybe the exfoliating accelerates the moisture loss, but the Cosrx PHA cream doesn’t seal in the hydration enough for me. So I would follow this cream up with a sleeping pack or a facial oil. That’s a super long list, but the key ingredients here are niacinamide, high up on the list, and lactobionic acid, the PHA ingredient, low on the list. There are also a lot of botanical extracts, essential oils, and silicones. Texture: The Make P:rem Peel Me Radiance Peeling Sleeping Pack feels like a light, watery gel. To me, it feels like it has a lot of silicones in it, typical of a sleeping pack. The gel feels light and refreshing as you smooth it onto your skin. I feel that I doesn’t sink into my skin but forms a film on top, sealing in the moisture underneath. Again, since this is a sleeping pack and not a cream, those with drier skin will want to use a cream underneath. Smell: This has a light fresh smell that is quite pleasant and isn’t overwhelming. Results: The Make P:rem Sleeping Pack does a pretty good job of keeping moisture in my skin and sealing everything in. In fact, in the morning, I can still feel a siliconey layer on my skin. Some people don’t love that feeling, but many sleeping packs are like that. I don’t feel that it is particularly hydrating or moisturizing on its own, and therefore should be used on top of other layers, but it prevents the hydration from evaporating overnight. I also find that my skin itches a little bit when I first put it on, but after it settles in and dries completely, I have no irritation, so I’m a bit mystified as to why. I do feel that my skin is soft and smooth in the morning, so it appears to be about as effective as the Cosrx PHA cream. When I compare the two PHA products, the Cosrx PHA Cream and the Make P:rem Peel Me Sleeping Pack, the most apparent difference is the texture. True to their names, the Cosrx PHA Cream feels richer and more nourishing like a cream, whereas the Make P:rem is a light siliconey gel that sits on top of my skin without sinking in. However, the Cosrx didn’t do as good a job of preventing water loss at night. I used one on each half of my face and it was very apparent that I had more dehydration lines in the morning on the side that I used the Cosrx rather than the Make P:rem. I definitely have to add a sleeping pack or facial oil when I use the Cosrx. (For the record, I have combination but very dehydrated skin). It was hard to tell if one worked better than the other in terms of exfoliation, since overnight results can’t tell you everything and I’ve only been using these for a few weeks. Both leave my skin smoother than if I don’t use the PHA product and just a regular cream, but the difference is less dramatic than when using an effective AHA. I did have a little bit of minor itching with the Make P:rem pack, which could be due to the high number of plant extracts and essential oils in the product. Since Cosrx has a reputation for short, no-frills ingredient lists, I think it’s safe to say there would be fewer potentially irritating extracts in it, especially if you have sensitive skin. I think what it comes down to is do you want a moisturizer, or a sleeping pack? Both seemed to be equally effective for smoothing the skin overnight. And both are gentler and more moisturizing than a typical AHA product. No wait times, no stinging, and I would guess it would be much more difficult to over-exfoliate with these products. Will I toss my AHA products? No. I actually prefer using my regular creams as a last step moisturizer instead of these two PHA products. My regular creams are just more cosmetically elegant and moisturizing. Which just reminds me of why I’m not a fan of multi-function products. So I’ll continue to use my AHAs (especially since my Stratia Mandelic Acid is already super gentle), but I may reach for these PHA creams periodically. However, if you’ve tried AHA exfoliation and it’s been too irritating for you, I’d highly recommend trying either the Cosrx PHA Cream or the Make P:rem Peel Me Sleeping Pack. Oh and by the way, there are more PHA products out there, even if they’re not as buzzed about as these two! The Naruko Raw Job’s Tears Essence (reviewed here on the blog) contains 5% gluconolactone, and over time gave me a very noticeable brightening effect! Have you heard of PHA products before? Is it something you’d like to try? Which one of these two appeals to you the most? Hmm, I actually used 3 samples of Cosrx cream and every time I was waking up with an occlusive layer on. That is why I wanted to buy it. I thought it could be a great night cream for summertime. My skin was quite hydrated too. But I did use oils underneath. My skin is dry, but not that dehydrated (it used to be, but now it seems like it’s all fine). Actually when I used squalane oil under the Cosrx cream, it was plenty of moisture for me. I think it can definitely work as a night cream as long as you’re aware that you can tweak your routine if you need more (and if your skin is very dehydrated). I was surprised it wasn’t more moisturizing, because it feels so rich! YMMV of course =). Hmm, I don’t think I’ll be getting any of these because I don’t have problems with AHAs or BHA. Thank you for the in-depth review! Yeah, I totally get where you’re coming from. I do very well with my mandelic acid, so I think I’ll be using these occasionally rather than depending on them, but they’re great for people with more sensitive skin. That is exactly what I thought when I first read up about PHA — sounds like mandelic acid! I’ve been doing great with my mandelic acid products (they’re far gentler for me than glycolic), so I don’t feel that the PHA creams are that necessary. But yes the Naruko essence…Jenny, it’s really lovely, I think you’d love it. And an essence is easier to incorporate into a routine, I think. Loved your in depth review about the cosrx pha cream and the make prem version of it! The cosrx pha cream does seem kinda of a oily texture for me at first but i don’t really see any smoothing effects yet. I keep seeing all these reviews about AHA BHA and how people wake up with smooth skin but i just end up waking up with breakouts…. which is why i stopped using chemical exfoliants for a while now but i really wish i could experience smooth skin too one day! I wonder if the AHAs are too harsh for your skin! Maybe keep going with the PHA and you’ll hopefully see some results after a while! I have never heard about this brand, sounds interesting! I have no issues whatsoever with ahas and bhas, and while I don’t mind introducing phas into my skin, I don’t think that these two products would be my first choice. Like you I prefer a multistep routine over mutlitasking products. Yes I would prefer a PHA essence or seen because it’s easier to layer! First off I have to say I get what you mean with companies adding punctuation in their names! I immediately thought of the Korean brand Re:p! (exclamation point not included.) I’d never heard of PHAs before, but I don’t have a problem with AHAs/BHAs so it doesn’t seem like something for me anyways, but I loved the comprehensive review. Thanks! Yes I agree, I think that unless you’re sensitive to aha there might not be a need for it! This is a great in-depth review! I’m definitely curious about PHAs, as I’m on tretinoin but I still have some texture that I think could use some gentle exfoliation. I have been using P:rem pha booster toner, pha serum and pha sleeping pack for about 3 weeks and really like using them. Got the whole set for 58 USD from korea-muto on eBay and he also sent 7 different p:rem products and full size moisturizing cream from Age21 line. Really nice seller considering it was my first transaction with him. And finally ordered the pha cosrx cream the moment it became available from jolse, I tried 4 samples and really loved how it feels on my 46 year old skin, it could be great moisturizer or sleeping pack. The p:rem sleeping pack is much lighter so perfect for summer to be used just as moisturizer too. I use it every night, plus the p:rem peel me toner at night and peel me serum twice a day. The serum is little harder to spread, it just feels like there is sand in it although of course it isn’t but it just feels little harder to spread. But it sinks pretty fast. I like these new additions to my acids but it will be harder to tell what exactly did what: I also do bha, aha, mandelic acid and BR P50 LOL but since these are gentler additions they should only do good things for my skin although not very visible. I’m glad you like the Cosrx samples you tried! The nice thing about these is that they’re so gentle you could probably incorporate them along with stronger acids! Great in depth and comparison review. I’ve never heard of these before but they do sound quite interesting. Hello! I’ve reading about hydroxy acids A LOT, and since I have rosacea and sensitive + reactive skin, i thought PHA would be a great alternative to AHA, cause they may be slower, but just as effective and less irritating/drying. However, after reading your review, i feel that maybe a PHA could be too gentle. I have not tried AHA before, but i really want to introduce acids into my skincare routine. What would you recommend? Also, i hope LHA becomes more popular (the soft version of BHA). I’d suggest mandelic acid, it’s one of the gentlest AHAs. Try a low concentration first, like 5% and gradually move up.